Home Blogs BPF Blog Retirements, reports and record breakers? Retirements, reports and record breakers? In this month’s edition of his exclusive column, Philip Law outlines the key highlights from the association’s AGM, including retirements, reports and records hoped to be beaten. We’ve just held our AGM on 17th May and I want to give you some key points. Bruce Margetts of Bericap was elected for a second year of office, with Martin Althorpe of Epwin elected as the new Vice President. Brent Nicholls of Wavin was elected as Honorary Treasurer on the retirement of Paul Jukes, who had served for five years. Paul was a former President and had been on the BPF’s Council since 2003 and was duly recognised. Bruce Margetts provided the highlights of 2017 which I will use my column this month to summarise. Bruce said that the nominated theme from the outset for this year’s meeting was skills and updated that the BPF Council has agreed to budget for an additional BPF staff member dedicated to Skills and Development in the industry. The job specification and potential programme are currently being shaped. We scored a quick hit with the launch of the Career Zone website at Interplas 2017. This aims to promote the range of job opportunities within the plastics industry and we’ve got some inspirational biographies of BPF Council members on there to fire up the enthusiasm of the country’s youth. The Worshipful Company of Horners were thanked for making a financial contribution and providing some useful ideas in developing the site. Reporting on Brexit, Bruce said it continues to be an inescapable issue for the industry given the preponderance of trade with the EU and high level of imports of raw materials and machinery into the UK, not to mention the pattern of mutual ownership of businesses in the UK and continental Europe. Without doubt the BPF has become a serious reference point for both industry and Government in the UK. This is a major achievement. Civil servants from BEIS, DIT and DeXEU have attended meetings of the BPF Council and the Brexit Taskforce to be briefed on the BPF’s positions. 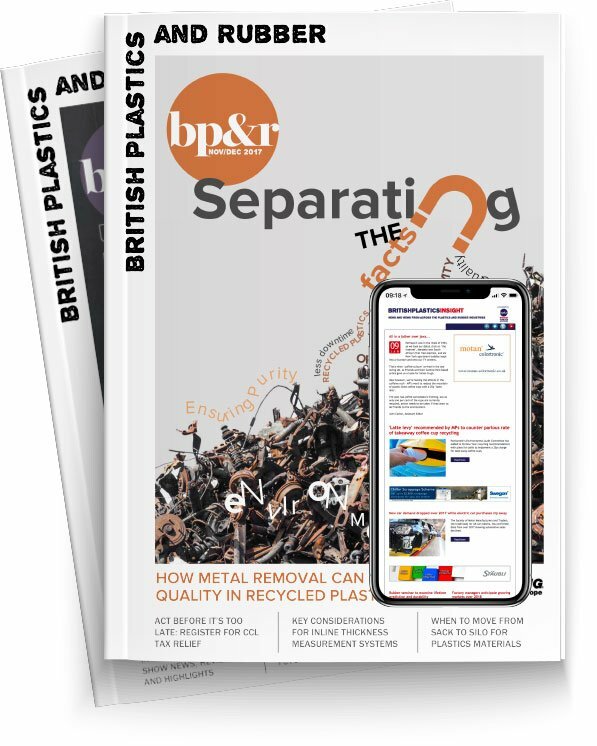 A very useful step was the agreement of a common policy on Brexit between the BPF and the European Plastics Processors Association. He felt 2017 highlighted the BPF’s major strengths in looking outwards towards its many market areas. We were active in the aftermath of the tragic Grenfell fire, interfacing with the regulatory authorities. We provided a forum for brand owners and retailers to address marine litter in the wake of Government and media attacks on single-use plastics. We are also playing a part in the strengthening of the automotive supply chain as car manufacturers want to source more innovative components from the UK following the Brexit vote. Bruce particularly enjoyed chairing the BPF Council meeting at The Bank of England. Last year it was held on the 12th July and all Council members were able to debate business conditions in their respective sectors with the Bank’s top level staff. He referred to our latest business conditions surveys, which now, after a period of uncertainty, are demonstrating that investment is firming again. He said he was able to witness this when he opened the Interplas exhibition on behalf of the BPF last September. “It was a success and cheque books were open and in use,” added Bruce. A key indicator of the health of the industry, according to Bruce, is attendance levels at the BPF Annual Dinner. In 2017, enlivened by the anecdotes of John Sergeant, this had well over 500 attendees. Bookings for this year’s dinner indicate this record might well be smashed. I am sure we are all looking forward to the Reverend Richard Coles being irreverent on a grand scale. Bruce was also delighted to award the BPF’s Gold medal to Dr Christine Lukas of Dow Chemicals, a distinguished Chairman of the BPF’s Fire Committee and a true inspiration in our responses to the Grenfell Tower fire. Bruce said that he is sure we are all frustrated by the negativity on plastics as a material resulting from the surge of media interest spawned by the issue of plastics in the seas. He doubted if anybody in our industry thought that this was the right place for a potentially valuable resource and believed that we all wanted to improve the situation. He told the audience that the BPF is very actively engaged on this topic and was prepared through activities stretching back the best part of a decade. There has been a step-change in the profile of the issues. The BPF produced new materials to enable the industry to defend and promote itself at Interplas. BPF took part in six TV interviews just in December 2017 and this activity has rolled on apace into this year. Since 2009 the BPF has been promoting the pellet loss programme, Operation Clean Sweep, throughout the industry. Bruce urged all to sign up if they hadn’t already done so to help to demonstrate that Industry is serious about its commitment to playing its part in a future where plastics are valued in the economy, but not littered in the environment. Bruce concluded his presentation by thanking his predecessor, David Hall, for laying a solid foundation. He paid tribute to Paul Jukes for his work on the BPF finances. He also thanked the BPF staff for their hard endeavours on behalf of the industry.